Activity Holidays for Singles are available all over the UK, let us help you find them. There are people all over the UK that love getting out and about and want to do more with their free time but aren’t sure what they can do or where they can do it. Many centres and activities require group participation so individuals looking for singles adventure holidays or activity day out can struggle to find something to do. Would you like a day out sailing but can’t find anyone to go with you or a company that will take you as an individual? Or perhaps you’d enjoy a multi-activity weekend climbing, canoeing, white-water rafting and horse riding? Would you like to learn to windsurf or do a course? Companies are slowly starting to realise there is a great demand for singles activity holidays in the UK and are starting to open up more of their services and activities to individuals, mixing likeminded individuals together. 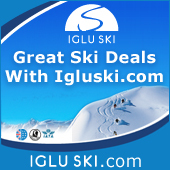 There are also companies in the UK that specialise in organising weekend activity breaks and holidays for solos. It is great fun to be able to share the fun with others so being mixed into a group with a friendly crowd of likeminded people is a great way to do it. 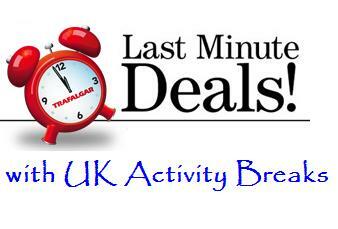 UK Activity Breaks run a “Break Planning” service so for any individuals wanting an activity break in the UK, no matter what the sport or how long for, do get in touch as there are many companies that will cater for individuals even if they don’t advertise it. We will find you somewhere that can cater for you. Starting in 2013 UK Activity Breaks will be running a number of activity weekends that will bring singles, couples and groups together to do fun activities. The focus is on the activities, having the opportunity to try a range of activities over 2 days and having a fun time. Don’t waste hours crawling through the internet looking for UK singles adventure holdiays. I’ve already crawled through and spoken to a vast number of activity centres in the UK and I have a great list of companies that can provide outdoor activities to individuals. Let us do the work, just tell us what you’re looking to do, where and when. Whatever your interests, whatever it is you would like to learn or try out, let us help you. There is so much fun to be had outdoors and can be enjoyed by singles.